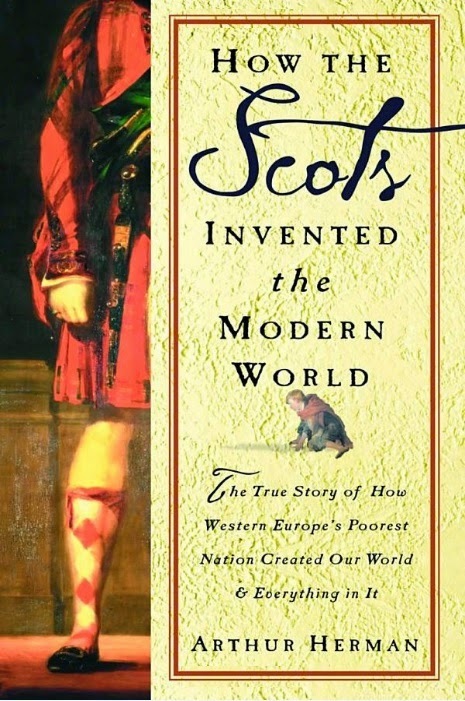 How the Scots Invented the Modern World by Arthur Herman was published in 2001, but I only read it last year. I mean this review to be very brief. Herman covers the major strains of Scotland’s political, educational, and philosophical contributions to modern society in a very readable and entertaining format. He manages to put these contributions in perspective by giving a thorough telling of Scottish history from the latter half of the 16th century through the 19th century. At the same time, he ends the book with some comments on events in modern Scotland, which show how the country has lost so much of its former glory. Various important personages receive the devotion of full chapters (e.g. Sir Walter Scott, Adam Smith, etc. ), and Herman describes them and their times with such vividness as very few histories can capture. Scotland’s contributions to modern notions of democracy, liberty, and education remind me of my education in Hillsdale College. Hillsdale is essentially a product of the Scottish Enlightenment in its emphasis on the importance of educated religious belief, capitalism, strict construction of the law, the importance of the humanities, individual liberty, and individual responsibility. At the same time, Hillsdale loves less the contributions made by David Hume, whose philosophy has been very influential in modern times–even if people do not realize how much Hume influences their opinions on the supernatural, faith, and the capabilities of the mind. At any rate, I promised to be brief. I shall end this post by saying that anyone with an interest in Scotland or modern treads of thought ought to read this book.